The human body has many different organs but the largest organ is the one that many people tend to overlook. It is constantly exposed to the elements and it has many functions, including detoxifying the body and protecting us from harmful invaders, including viruses and bacteria. This organ is with us from the time that we are born and it is often a part of the body that is neglected. Of course, I’m talking about the skin and when it is not cared for properly, the skin will quickly show problems. For some people, those problems may show in the form of acne or blemishes but for others, it could come in the form of dry skin that may eventually become a chronic condition. Combating this problem is a lifelong endeavor but with this unique recipe, it is about to get a lot easier. Most people tend to look for an expensive body cream that they can use regularly to help keep their skin moisturized and youthful looking. The unfortunate thing is, many of those creams are full of harmful chemicals and some of them can be quite expensive. 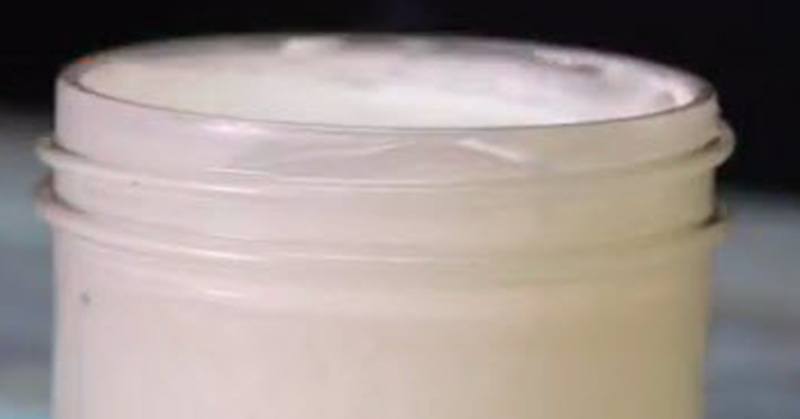 If you are ready to make your own cream that is not only reliable, it is good for you and smells fantastic, you will love this peppermint Lavender whipped body butter. You can use it to moisturize your skin and bring it back to that youthful state that all of us desire. It works fantastic and you will love applying it. One word of caution that I would provide is that you should not take a bite out of this butter. It may smell fantastic, but it is for application on the outside of the body, not on the inside. Just apply it to your skin and enjoy all that it has to offer. Make sure to start off by bringing the Shea Butter to room temperature. Break the Shea Butter into chunks and place it in the bowl. Using a stand mixer or a hand mixer, mix the butter on medium speed and let it soften up for about five minutes. Reduce the speed to low, add the grapeseed oil. Next mix in the cornstarch. Finally, add your choice of essential oils and mix well to incorporate all the ingredients. Stop the mixer, scrape down the sides of the bowl, and then bring the mixer up to high speed. Whip the butter for five to ten minutes, or until it becomes thicker, light in color, and very fluffy. Transfer the mixture to jars and let it set at room temperature for several hours or in the refrigerator for about thirty minutes.